Although the modern Internet community is moving towards social networks and clouds, there is still some space for traditional free web hosting that enables to publish a custom web page, or custom blog, or other “manually” build website on the web at absolutely no cost. In this article we provide an overview of the most desirable and the best free web hosting features as well as suggest top 10 free web hosting providers that in our opinion offer the best free hosting services in terms of offered features and customer support. Free web hosting no ads stands for a web host service or provider that does not add any adverts (banners, pop-ups, text links, etc.) to free web pages and website that they host for free. Free domain hosting stands for webhost services or providers that enable clients to host their own domain names (registered at 3rd party domain registration service) on webhost’s servers at no additional cost. And free domain hosting can also refer to website hosts services that provide a free domain name included with their free webhosting plan. Free PHP MySQL hosting stands for the web page hosting service or provider that offers the popular PHP scripting and MySQL database support included with their free website hosting plan. and also see visitor’s reviews of best free website hosting providers. 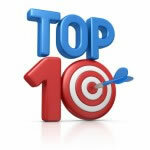 and also you can take a look at top 10 web hosting list at PRchecker.info site. » Why to Choose Green web hosting? Hosting.eu.pn has been re-branded to FreeHostingEU.com, and the changes have been reflected in Top10 free web hosting list. Today we’ve added Wix.com free website hosting that seems to be very popular and widely used nowadays and thus they should take their place in top 10 free hosting sites list. Wix provides an “one-click” site builder that enables to create FLASH sites or HTML 5 based web sites using easy drag & drop tools and 100’s of free web templates included. That is also possible to create mobile sites, Facebook pages and blogs. The sites created with Wix web page builder seem to be very nice and Google friendly. Nice page! It is always good to have such a resource as spare options. Speaking of best free web hosting I’ve been using Host-ed.net for some time. I can say that their support is quite friendly unlike other host I was with in the past. Their uptime is also remarkable as for the past few month I have not seen down and I am usually online the whole day. I once used Biz.nf and was happy with this service, for those whose have tight budget, use this service! Our few words about 000webhost.com. This free host was originally in out top10 free host list, as they seemed to be quite popular, probably due to their high-paying affiliate program. However, we excluded them from our site, because 000webhost affiliate program is a scam. It is discussed around the web that 000webhost does not pay their affiliates and that they close affiliate accounts when they reach the minimum payout amount. We have tested 000webhost affiliate program, and that talk on the web appears to be true – 000webhost closed our affiliate account once it earned the minimum payout amount, and they do not reply emails requesting about the reasons of account closure. Admin, we we start for hosting on 000webhost for hosting the site since we are not interested in affiliate program…. for hosting site is it reliable or not? To be honest, their free web hosting does work. I can not tell you if their free hosting service is reliable in a long run as we had tested them for 2 months only, but it does work. Also they remove abuse sites quite quickly upon complaints that is good. We only state that their affiliate program is a scam. As for the free hosting, I suppose you should consider all the facts and decide by yourself if you are going to use their webhosting service or not. Wix won’t let you use your own domain (even if you purchase it through them) unless you upgrade to a premium account. I also can’t use my newly purchased domain somewhere else for 60 days after purchasing through them. If you want a free site without using your own domain, Wix has some nice templates. I like Wix I have a couple custom splash pages there, you can use your own domain, bought somewhere else. I like the templates and drag and drop, plus the flash features…. I have a website hosted with Biz.nf, and it load as fast as paid hosting service. ThankS for sharing this list. Thank you for this info. I’m researching to make my website and a hosting place for it and this was just helpful. All the best. biz.nf is great. However they do have a 500 kb file limit for uploading via ftp. Their hosting also seems to be a bit slow. I think they do all of this to encourage you to pay for their service (which is very reasonably priced). But if you’re in a pinch they are my favourite. I have purchased a domain name and would like to use a free host. Do any let you use your own domain through a 3rd party for free?? I suppose Yola and Webs do not support the requested feature. All the other free hosts listed in top10 web hosting free list does support your own domain registered via 3rd party registrar, i.e. Biz.nf, FreeHostingEu, Biz.ly, etc. Most free website hosts collected in our top10 free hosting list do support domain hosting, so I’d suggest to choose the one that you like and then test it carefully to make sure they meet all your requirements. x10hosting is so awesome. I’ve used their free package for a long time and it’s unlimited (disk space and bandwidth), plus 4 MySQL databases, 2 domains. That’s not bad at all for a free package. I started using their paid-package and it’s great. Not that expensive either for the monthly renewal one ($7). Unfortunately I had to cancel though. Just letting you all know, they’ve never let me down before, it’s a good host. Would you please elaborate your point. Why do you think so? I have used 000webhost for 1 year and i can say that are OK but now seems that they have changed 404 pages to some hosting company named *hostinger* even if they say that 000webhost do not insert analitycs on your pages or anything else they DO IT even if you disable that thing from control panel. great collection of free hosting service, among these i would love to add wordpress.com, in case of paid service hostgator is best, their support is awesome. Thanks admin for posting this wonderful list. Great list. Yola and webs are good free sites for beginners. I used these. I have a wordpress site (free) but I am searching for web hosting so that I can customize my site. I had a site on 000webhost, so far so good, but just after my site visits exploded (exceded the free monthly transfer) they suspended my site asking me for money (premium account. First I thought that will resume my site in next month, but nope. With all of that, they keep sending me offers for premium plans (they promise me that my site administrare-cantine.ro will get extra free *.com and *.net, and also saying that is no possible to downgrade on free plan again, or my site will be suspended again). Can you belive that? As from all those listed in this post, x10hosting.com looks great, but to gret to be true: “We have disabled registrations from your country of origin due to continued abuse.”, and after digging in their forum, locks like “Disk space goes from unlimited to 500 MB”. Powrhost.com provide same features as x10hosting.com, but in footer is allways their link “Powered by free Powrhost”. So I decided to stay on byethost.com, even if I risk to be suspended because of over quota/limit trafic. I’ll do the best to make proper back-ups. I’ve used 000webhost for about 4 months to host my family tree. My site has been disabled twice for not enough use (traffic or updates to the main page). It took me a while to figure out how to activate my site after the first time. The second time I had received an email so I was able to turn it back on within a few days. Two other issues are that I cannot display an XML page, specifically GenealogyJ simple tree; and the site times out while uploading 100’s of small htmls. I sometimes have to retry uploading 4-5 files after some of these timeouts. Thus I’m in the market for a new web host. I am a beginner to all this so would really appreciate any help!! I have bought my domain name from go daddy.com and created my website on wix.com but now I discover that in order to publish my website live I have to pay Wix to host it. I am on a very small budget and can not afford to do this but have spent a long time creating the website on Wix and want to use the one I have designed!!. is there a way around this? That is called Forwarding (and Masking) in GoDaddy domain control panel. I came to this page looking for a free host that can offer the quality of 000webhost,.. reading the comment here above, I never subscribed to their afiliate program, but I do have some free sites (php, mysql) running on 000webhost for more than 5 years now ,without any major problem, there is a respons to question tickets, and their uptime is really good. they have a paid service , but they don’t bother you with this in adds. I simply think that 2 birds is better than one..
You should remove x10Hosting from that list. Not only did they delete all my website without warning but they also delete my post in the forum when I tied to ask what was going on. Do any of these hosts apart from wix.com offer support for flash websites? Most of them (at least top 8 of those listed) do support flash sites, but only Wix provides a Flash site builder, with others you are going to upload a ready-made flash website. Which of that hosts allow Google Adsence? plus using my own domain, no ads, and WordPress? I’m trying to test a site I build in Flash. I have the .SWF and corresponding .HTML files created when Flash published an HTML site. Which of the service providers above will allow me to send my files (FTP) to the site instead of using their templates like wix does? I’ve created a account with wix and have learned that they do not allow uploads of files. You have to use their templates. The hosts # 1, 2, 4, 6, 7, 8 from our top free hosting list above do allow to upload .swf files via FTP as well as to use your custom HTML files to insert flash inside. Jewel of a list. Thanks a bunch, I love these free hosting providers. You can also add bravehost to this list, they’re really great and I’ve been using them for 5 years now. Does Wix support WordPress on their servers and can I use an outside templates other than Wix? no and no, unfortunately 😉 – if you are looking for free hosting with WP support, I’d suggest to check our free wordpress options page. I was given a space on a web hosting site and a domain name (sandypondny.com) by my daughter years ago. She provided a program (FrontPage 2000) and I created a nice little website for family friends and ex-coworkers. To my dismay FrontPage is no longer supported on that site and will be up for auction. So, I went to another low priced hosting provider and purchased a domain name(sandypondny.net), and found that their frontpage extensions would not work anymore. Now I am in limbo. Do you know of any place I can get hosting for my website in FrontPage that is free, or a couple dollars per month, that will have and continue to support my FrontPage 2000 web site? I do not know any free host that would support FrontPage 2000 extensions, though you might want to consider low cost web hosting plans by hosting.com.ru that supported FrontPage when I last checked there. That’s a good list, thank you. Unfortunately I’d like to see included in the list the cons… e.g. “Good but doesn’t…” I had an account on 000webhost that I had nothing but trouble with as soon as it reached a certain bandwidth – when you’re starting out you are unaware of all this. But it is good to know. Thanks again for the list – gonna try freehosting eu! Cheers! You have given an apt introduction saying “Although….still some space..”. That exactly what wasrunning in my mind before looking for advice on some free web /blog hosting. As you have ranked, I find ( not used it yet personally) Biz.nf most versatile and honest ( do what they say). Anyway, I just need something similar to your “this page” with provision for visitors to post comments, and few pages or sections as you have on right hand side of this page. What do you recommend? Number 10. Webs.com is way to bad to be listed here. You can’t even add a file like .exe, or .zip. Also it is more for people getting started. We received a number of complaints from our visitors that FreeHostia does not offer free subdomain hosting any more, i.e. now one must have his/her own domain name, or must buy one from FreeHostia in order to sign up for free hosting. We beleive that such option can not be considered as a totally free web hosting any more, so we have to exclude this free host from the list. And thus we have updated our toplist with a new free host Host-ed.net that is actually not any new on the web. They’ve been around for quite a few years offering stable free hosting service. x10hosting.com says it sends an activation link to your email, but does not. they must not be accepting new accounts and they just don’t want to let on that they aren’t anymore. I highly recommend Awardspace.com. I’ve been using them for a few years now to host my website and no problems. No adverts either. A new free web hosting provider has been added to our TOP 10 hosting list today, namely FreeHosting.com. However, this free host is no way new on the web. They have been around since 1990’s offering stable hosting services to Internet users. As of now FreeHosting offers free cPanel hosting with many features and addons. The only “catch” is that one must have his/her own domain to sign up and use their free site hosting service, as they do not provide free subdomains. i have a domain name and i want to publish my personal website for which i am looking for a free web host. please give me some suggestion for hosting my site having one click wordpress installation as i dont know technical website building. each of them does allow to upload and edit your own HTML files and templates. i want to have my own domain name ending .co.uk .com .org or .net and to build a website for free. I’m concerned that if i start to build with one of the providers listed above, then decide i don’t like it, I’ll be stuck with them – can that happen? Also, a lot of providers seem to give with one hand while taking with the other – eg they lure you in with a free domain and then charge for hosting / bandwidth / uploads etc. I don’t want to realise somewhere down the line that i now have to pay to maintain a website i thought i was building for free. Are there any of the above without hidden costs? Any suggestions / help? Thanks. In your case I’d suggest to register a cheap domain (.com, .co.uk, etc.) e.g. at Godaddy and use the domain to setup a free site e.g. at any of the free hosts that we suggest in best free hosts list above. This way you will not depend on exact hosting service and can move your domain (and your site) to any other provider anytime you wish. @everyone: which FREE hosting site will let me allow to edit .htaccess file? As far as I know, NONE of the free hosting sites allows to edit .htaccess files..
A new free host (Jimdo.com) has been added to the top list. Jimdo provides a visual site builder with professional templates designed in HTML5 standard, and also offer many addon features such as social media tools for Facebook, Google+, Twitter, and Pinterest, ability to add a blog, photo galery, password protected areas, contact forms, videos, file downloads, Google maps, etc. Another free website hoster is added to our list – Weebly.com that states that it’s surprisingly easy to create an unique website, blog or online store using one of the beautiful themes they offer, as well as Drag & Drop Creator that makes it easy to bring your ideas to life in minutes. The mentioned service used to be in our list, but it was removed due to cheating with their affiliate program that claims to pay their affiliates but actually does not pay..
I’d suggest to try Weebly – they do offer the requested services, i.e. they provide free apps for iPhone, iPad & Android to manage your site, blog, or store on the go. I need a hosting with not only site builder, I need auto-installer or phpBB suport..
they either support manual phpBB forums installation, or they even offer auto-install of phpBB for free. After two weeks with no improvement- and considering their affiliates program issues- I am speculating about a possible free-user purge: since we can’t edit or upload our files, we’ll eventually ‘time out’ for non-use in a month or two and be removed. :sigh: A shame, they were one of the more reliable and user-friendly sites I’ve tried, and lasted longer than anything but Geocities. I have used x10 Free and freehosting eu but after few months moved to googiehost.com which works great for me. The only thing I don’t like their FTP is down most of the time otherwise its good to host my unlimited landing pages and other low traffic websites..
Do you have any infos about hostinger.com? They offer a free service but I can not find many reviews about it. Are they trustworthy? In my opinion hostinger services are quite OK though they are not in our top free hosts list..
Today we have added a new free website host based on website builder tools, i.e. the host with self-explaining name – WebSiteBuilder.com that claims to provide 1000’s of Google and mobile compatible free web templates and easy drag and drop editor to build a web site, as well as free tools like web shop, blog, image library, social integration, and free subdomain with .WEBSITE extension. Wix is not free! in the free plan it will show two big banners on the top right and at the bottom of the page, which doesn’t scroll. And more importantly, in the “free plan”, you can not use your own domain!!! This post is really helpful to find great free hosting providers. I am great fan of WIX, Weebly and webs free hosting service. If you host free website on Weebly your site is not indexed by Google because it contains robot text. If you pay extra money they will remove robot text from your Weebly domain. This is a nice list of hosts, Thank you for sharing admin and keep it up man. Reading the above I have tried Host-Ed, My site was about teaching English Nothing offensive, I was under construction when one day without notice my account was terminated and I lost all my content. I asked for an explanation but never received an answer. It’s up to whoever seek a free hosting service to decide if this is what he is looking for. In any case, if you go for ed-host make sure you have a good backup. Which site will allow me to build a site with chatroom capabilities, ability to upload videos, pics, and sound clips, have e-commerce ability, and free domain name? currently i have hosted my blog at godaddy in economy plan, Very bad hosting service they provide. Please suggest me best wordpress hosting site to host my blog.?? Number 1, 2, 6 an 8 from our best free host listing above should work OK for free wordpress hosting, or you can try e.g. Web Hosting Hub if you’d like to go for a non-free one. I have hosted the about site with 000webhost.com since 2012 – But I was lucky it was a set-and-forget site. I got my free web hosing from awardspace. thku sir for a great post. took free domain also. My free site is set. please which of the free host support Dreamweaver? I suppose those free website hosts that support FTP access – they should also support Dreamweaver, i.e. you might want to check hosts number 1, 2, 6 and 8 from our top free hosts list above. I’ve been using Hostinger free plan for a few months now, strange didn’t find them on the list, found their CPanel very user friendly, perfect for such beginners like myself. Auto Install feature helps too. This is the best webhosting comparison I can find. Though it’s the second I need no further surfing. But could it be Top 20 Webhosting? Big thank for your kind work. I’m using Hostinger free plan for some time now and believe that they should definetly make the list. Their Zyro website builder is very easy to use due to the drag and drop interface. Perfect for beginners. The support staff is very professional and solves problems quickly. The auto install feature saves you a lot of time. Having the possibility to create multiple subdomains also is a huge bonus. Awardspace is an excellent cheap web hosting provider, I have been hosting my website with them for free since 2007 without any problem. if i want to create a webiste for a wedding and event planning bussiness what website should i choose from ……………… Biz.nf, Free Hosting EU, Wix.com, WebSiteBuilder, Biz.ly, AwardSpace.net, TemplateSites, ByetHost.com, SiteBlog, or Weebly.com. I’d suggest to try any of free website builders such as Wix.com, WebSiteBuilder, TemplateSites, WebNode and Site123 as they might be easier for a newbie to create a website and they even might provide special professionally designed templates for wedding related site, while “traditional” web hosting sites such as Biz.nf, Free Hosting EU, ByetHost.com might look too complex for a newbie although they might provide much more options for experienced web developers. Thanks for sharing this useful information with us. I want to store 1 GB data with one of these free hosting providers, Can you please let me know, which one would be best for me? I suppose non of free hosting providers is good for storing Gigs of files, as their services are not proposed for file storing. I’d suggest to consider Google Drive, Dropbox, or something, or YouTube in case of video files. Copyright © 2009-2019 Best Web Hosting Coupons at PRChecker.info. All rights reserved.